Sheaffer Imperial nibs and sections. 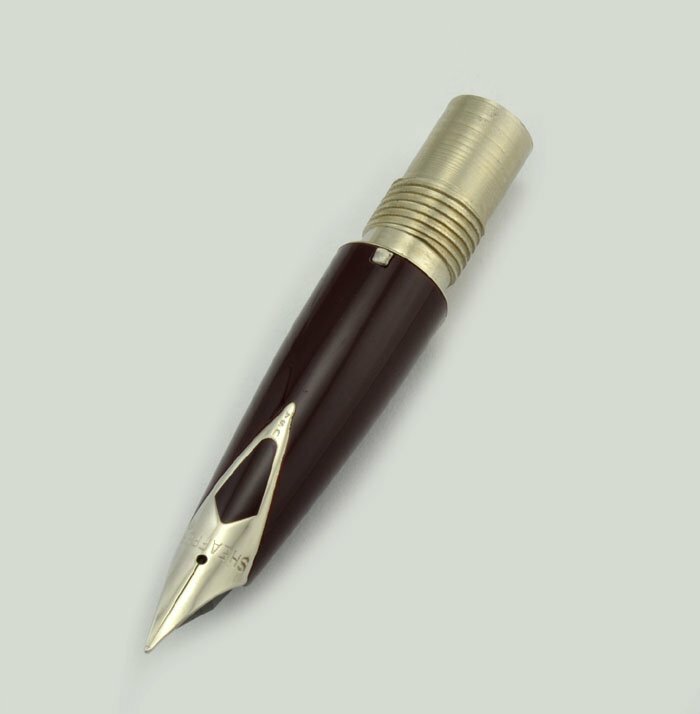 Steel inlaid nib, with the short diamond style cut out. Fully guaranteed new old stock. These fit and be correct in certain mid-range Imperial models from the 1960s-70s such as the330, 440 and 444. Product Name We call them "Quasi-Imperial" because they are similar to the higher end Imperial nibs of the same era and in fact are compatible with the higher end pens. This short diamond style nib/section will fit and be correct in certain mid range Imperial models of the 1960s-70s, such as the 444, 440 and 330. 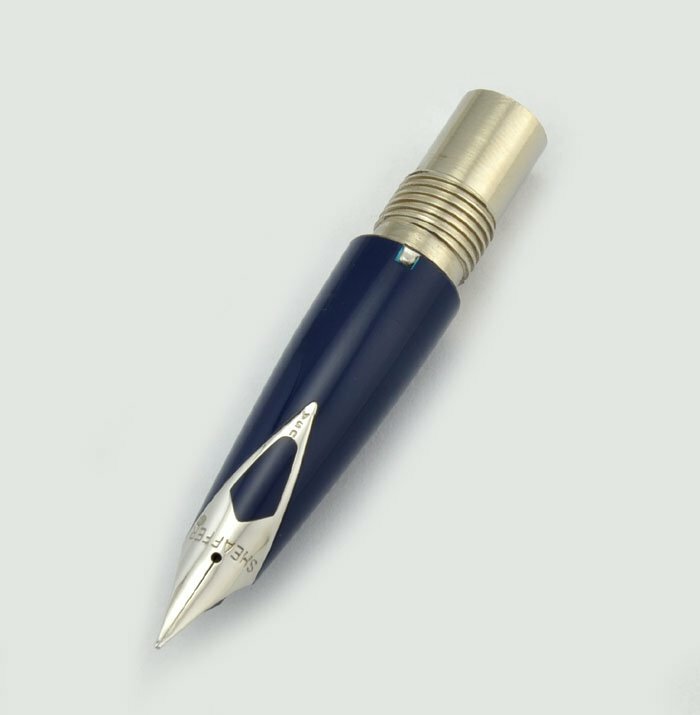 It will fit other high end pens as well, including the Imperial Sterling, Imperial Sovereign, 777, 826, 827 and 834 -- to name just a few. 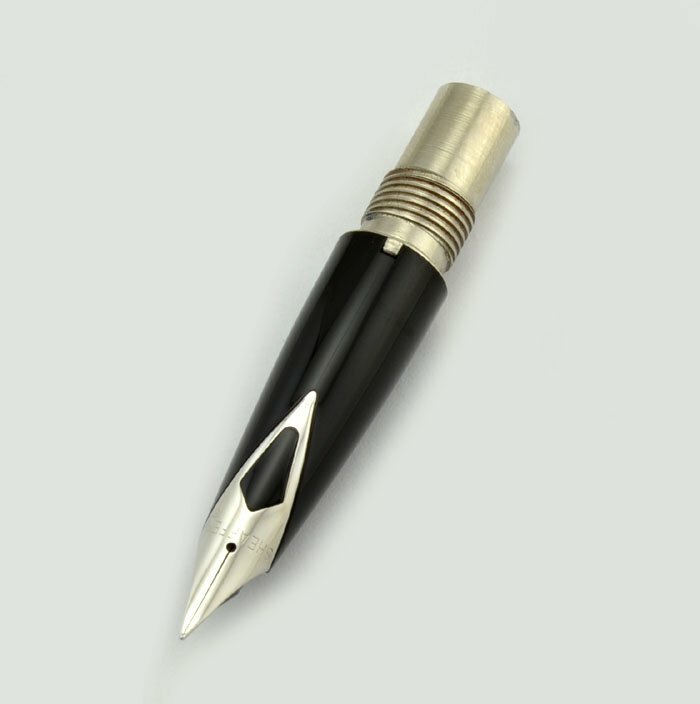 Nib Steel inlay style nib with the short diamond cut out. 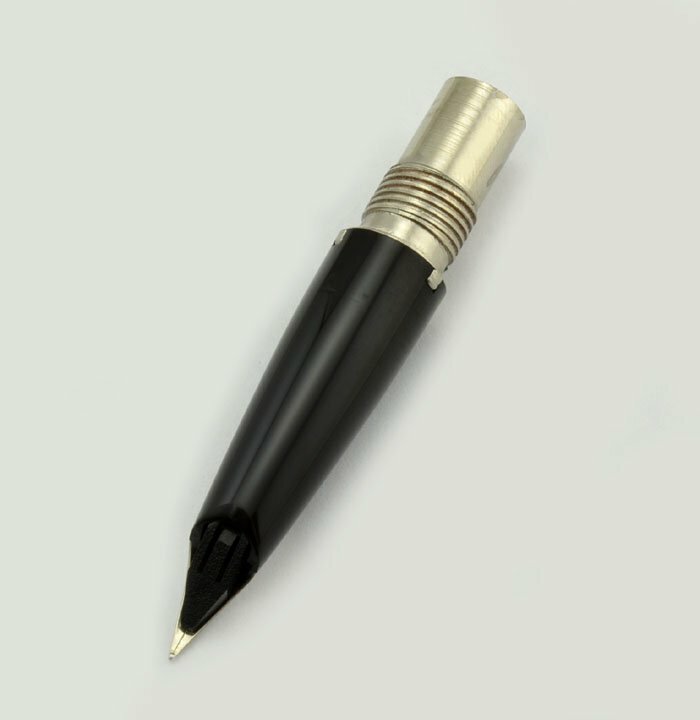 We only have fine nibs, but we are offering them in a few different colors to match the colored barrel pens. This nib is new old stock from the 1970s. It has never been used or inked. 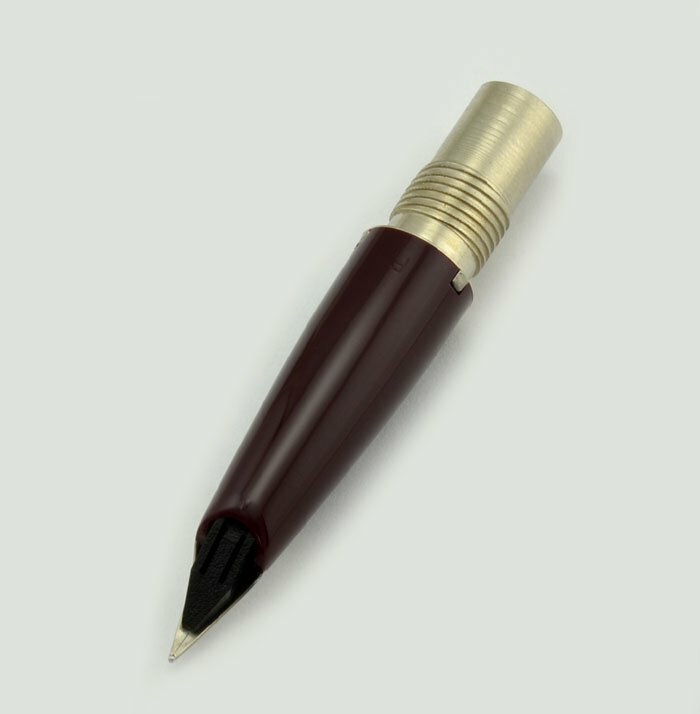 The nib is great, and its functionality in the proper model Sheaffer Imperial is fully guaranteed. Not returnable if the nib has been inked, unless it is defective.